BJP was not involved in corrupt deals in BMC despite being a partner in power with Shiv Sena for the last 20-years, the chief minister said. 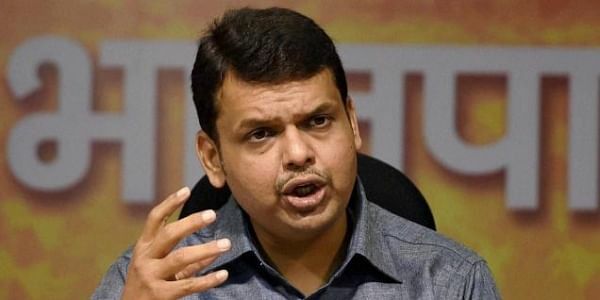 MUMBAI: Maharashtra Chief Minister Devendra Fadnavis today said that BJP was "sidelined" when proposals were cleared in the Standing Committee of the BMC. He also asserted that BJP was not involved in corrupt deals in BMC despite being a partner in power with Shiv Sena for the last 20-years. "...in fact, many times we were sidelined and they (Shiv Sena) joined hands with MNS and other smaller parties to get some proposals cleared in the standing committee meeting. Our corporators had a minor role. As far as I remember, there were 3-4 such incidents wherein we were sidelined," Fadnavis told reporters at his official residence. Standing committee is one of the most powerful committees in the civic body comprising corporators of all the parties. This committee is authorised to clear tenders of development works to be done in the city. The comments by Fadnavis assume significance as his party is being repeatedly questioned for maintaining silence on corruption in the BMC all these years despite being in alliance. BJP leaders Kirit Somaiya and Ashish Shelar have alleged corruption in some developmental projects undertaken by the BMC. Asked about the aggressive campaigning across Mumbai, Fadnavis said, "From day one as a chief minister, I have been looking into the issues of Mumbai and trying to solve them. Shiv Sena has become complacent towards Mumbai's issues. I want voters to give them (Shiv Sena) some time to rest by giving us majority in the BMC elections this time". "According to primary information, BMC has spent as much as Rs 8,000 crore only on gutter cleaning. Why so much expenditure and so little result," Fadnavis asked. Commenting on the identity politics and Sena's attempt to appeal for 'sons-of-soil', he said, "BJP too has Marathi leadership; hence such appeal will no longer affect our party." "If Shiv Sena is talking about Marathi people, why areas like Girgaon still face water problems. On the other hand, we are not only bringing metro to Girgaon but giving 500 sq ft of homes to affected people, though the current size of their house is less than that," he added. On Somaiya's allegations of sham companies being used for money laundering, the chief minister said, "I have asked him to submit these names to appropriate authority so that they can continue their investigation."